The Fairy loves pretend play - especially if it's fairy related. She loves playing with her fairy tea cup house I made last year (click here to see it). 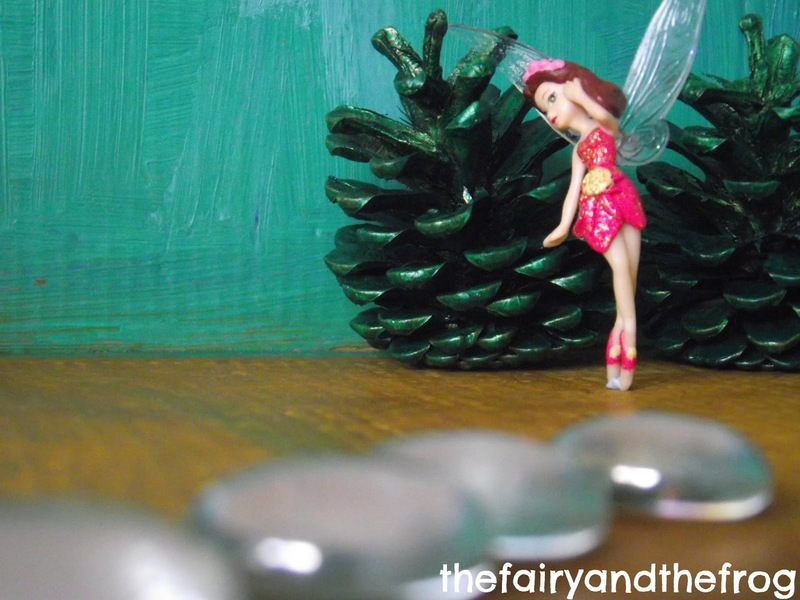 So I created a fun filled fairy play scene simply by painting some pine cones green. The Fairy helped to paint a shoe box as a back drop. 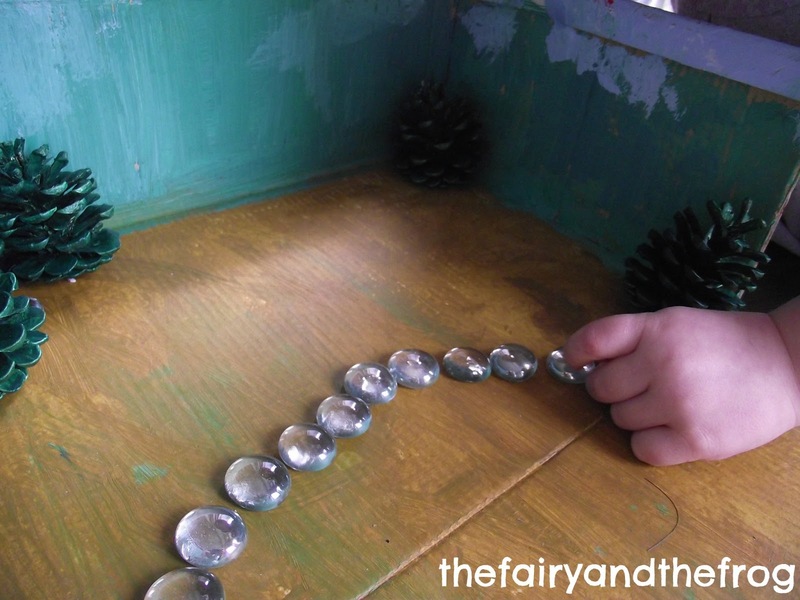 We also added some glass beads which the were quickly made into a path. I didn't stick the pine cones down as The Fairy likes to move things around in play and this provides more flexibility. 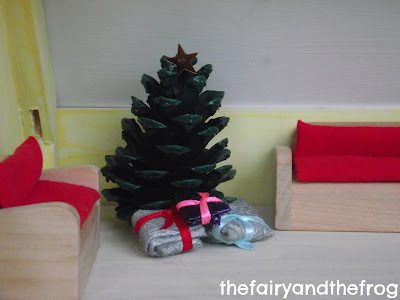 By adding a star (I used a hot glue gun to attach a sequin) the tree was transformed into a Christmas tree - a perfect addition to a dolls house. 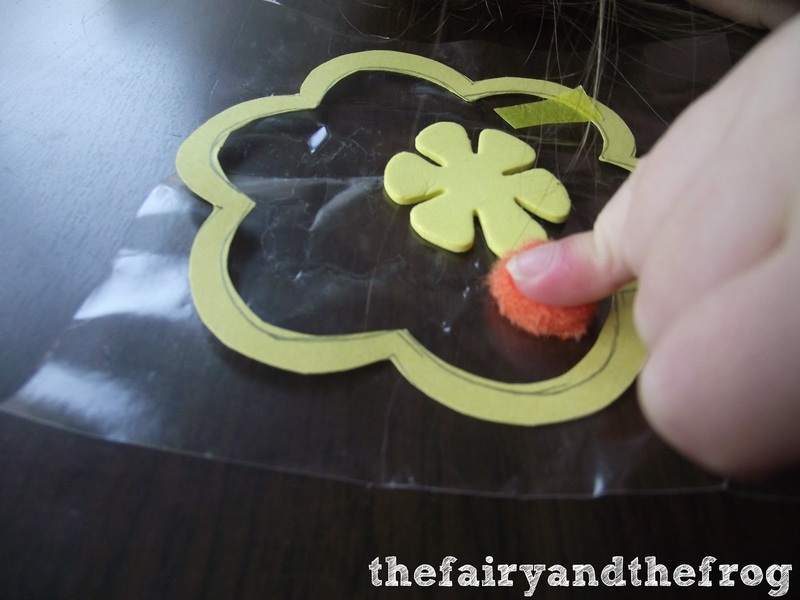 Language Focus: Pretend play is great for developing language. 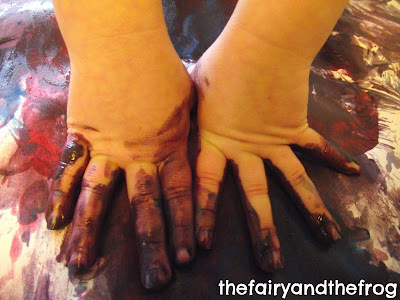 It provides a fantastic opportunity to develop narrative (story telling) skills and imagination. 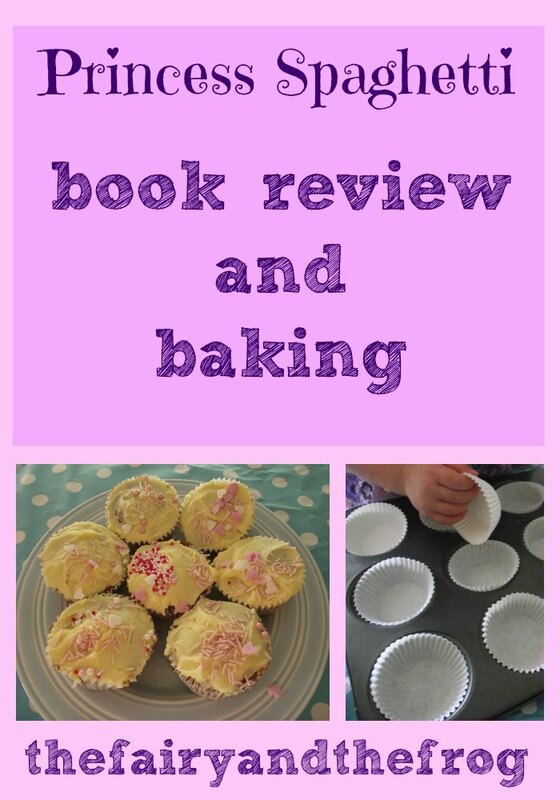 Every month for the next 12 months, we are linking up with a fab crowd of bloggers to form Poppins Book Nook. We will each be blogging our ideas for book based fun. Each month has a theme - this month's is Princesses, Knights and castles. 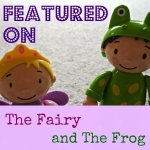 The Fairy is very into Princesses, hence the tales of Princess Spaghetti are very much in demand at bed time. In the book 'You can't eat a Princess', the strong willed and courageous Princess Spaghetti ends up rescuing her Father from a bunch of hungry aliens (who had never tasted chocolate). 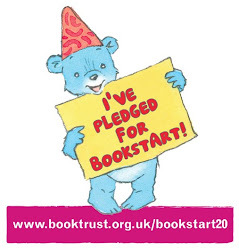 It's a humorous book with eye catching illustrations. I love how the Princess is a positive role model and instead of being rescued, is the rescuer. 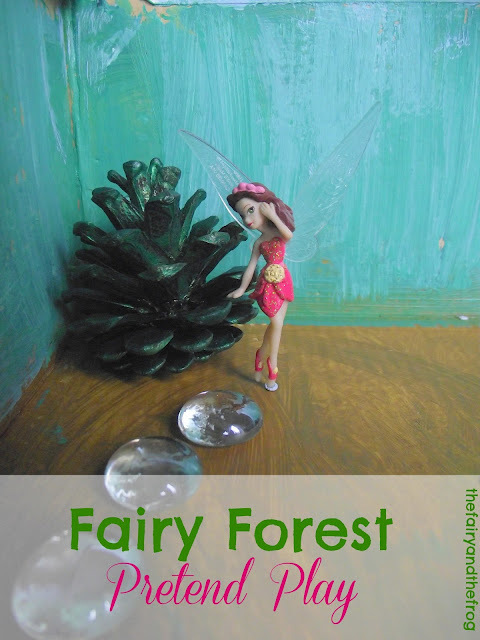 When I suggested to the Fairy we could make something from the book, I rather hoped she'd be up for a bit of junk modelling - perhaps of a rocket or one of the fun planets in the book. 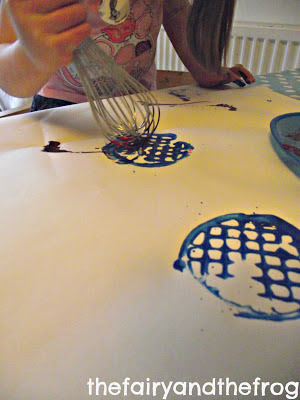 Instead (and rather predictably) she chose to make cake - chocolate of course! I actually didn't mind this plan to much, as I too am rather fond of cake. and finally eating. 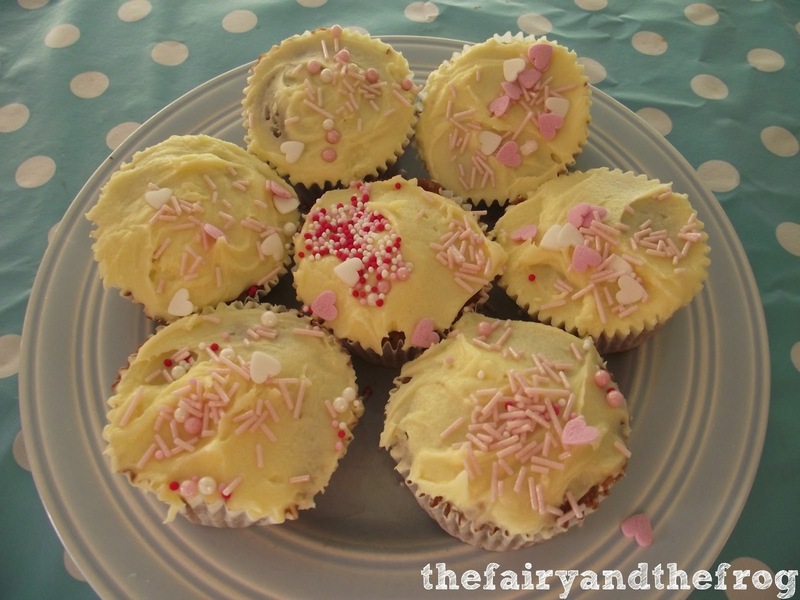 The chocolate cakes topped with white chocolate butter icing and sprinkles. 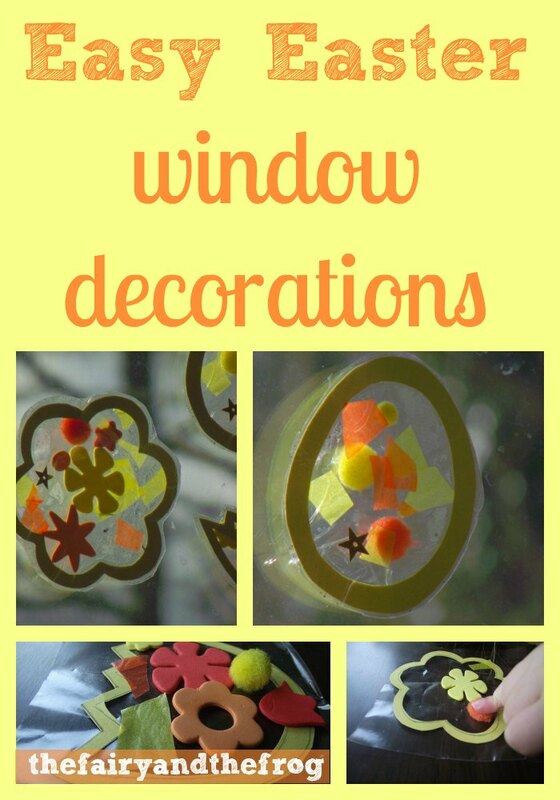 We love the little chicks you get for crafting with around Easter. 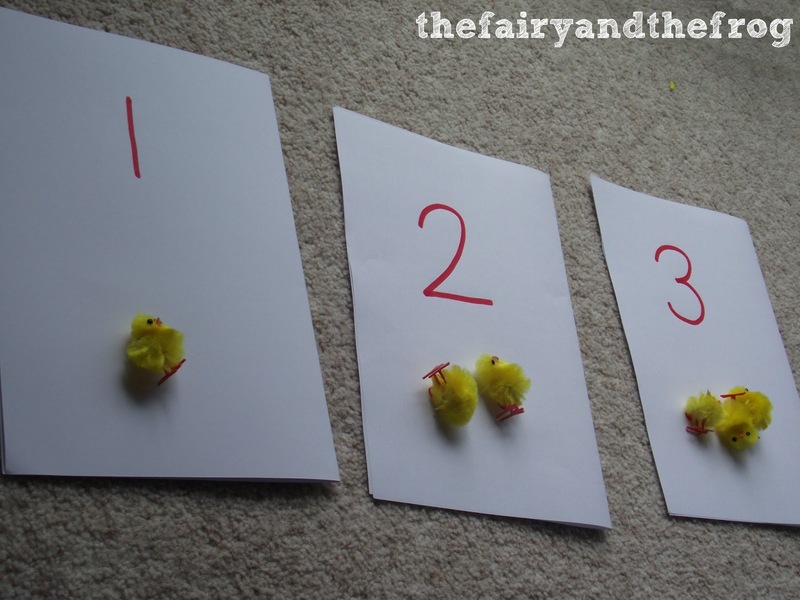 In fact one of our first ever blog posts was about playing with chicks. 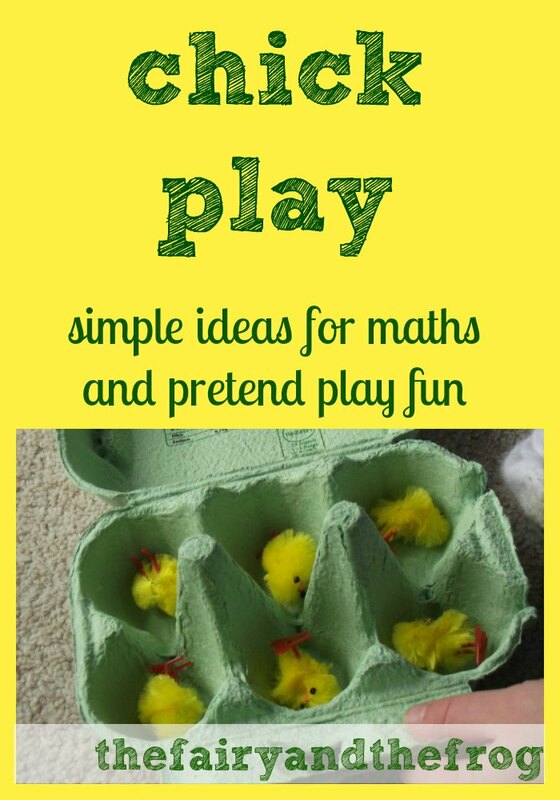 We counted out chicks into a cosy egg box. The dips in egg boxes (and muffin tins) are great for developing counting skills as they are perfect for sorting. 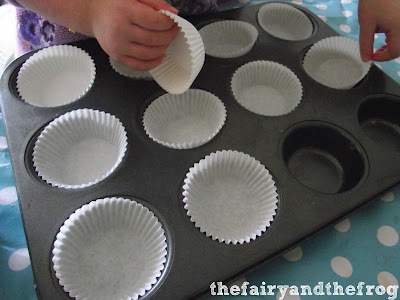 We used our counting sheets (with a number and the corresponding number of dots) and counted out on those too. 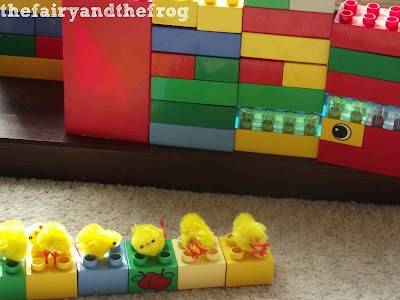 Then the Fairy insisted we did some pretend play.The chicks were tired after all that counting so they needed a nap! Duplo beds were the perfect size. 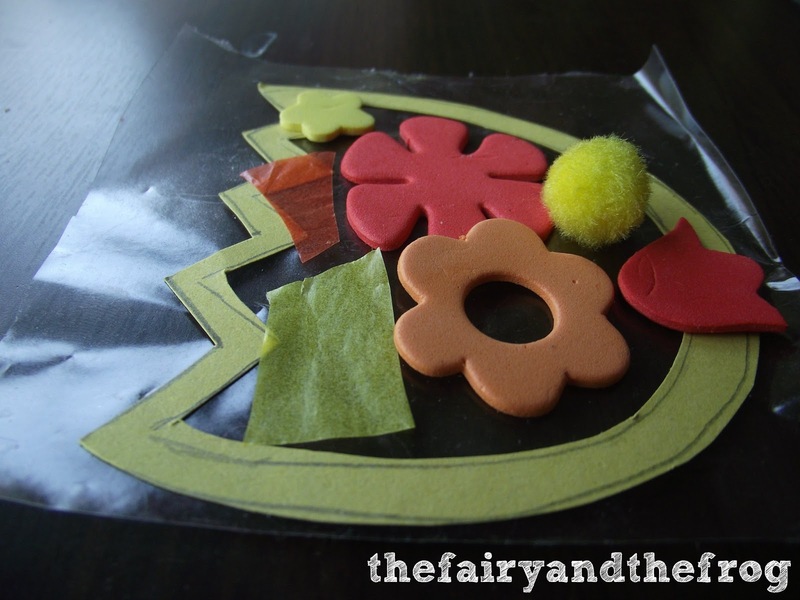 The Fairy loved making our valentines window decorations so we thought we 'd try some more with an Easter / Spring theme. First The Fairy selected some Easter/ Spring themed cookie cutters from our stash. 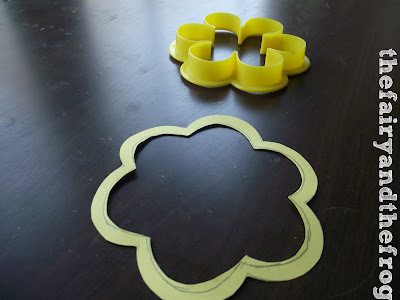 I drew round them to make a window outline. Then I cut a square of sticky back plastic (contact paper) and laid it sticky side up). 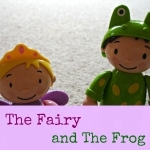 The Fairy and The Frog got busy sticking bits on. The Frog loved doing the same thing as his big sister! 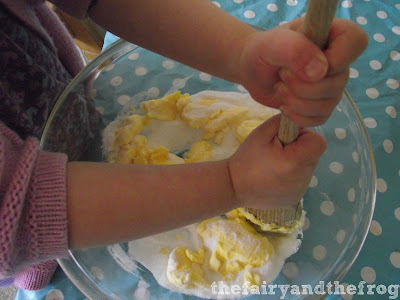 We made an egg, daisy and tulip. I then finished it of using another piece of sticky back sandwiched on the top and trimmed off the edges. 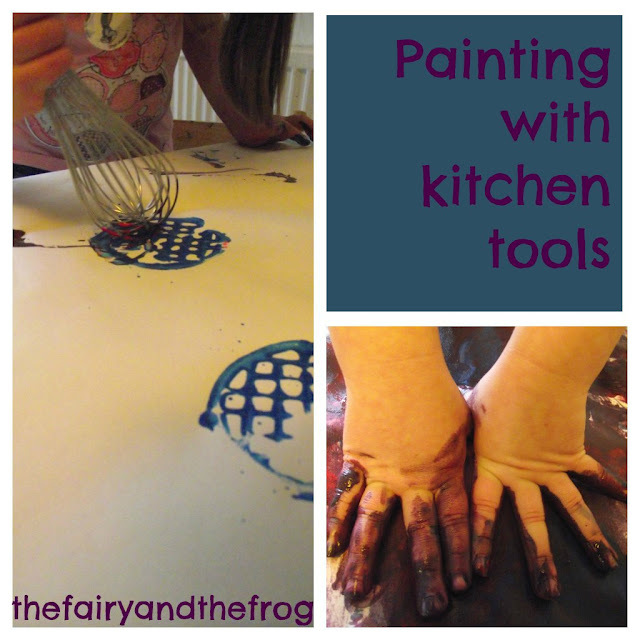 We've been painting with kitchen utensils. 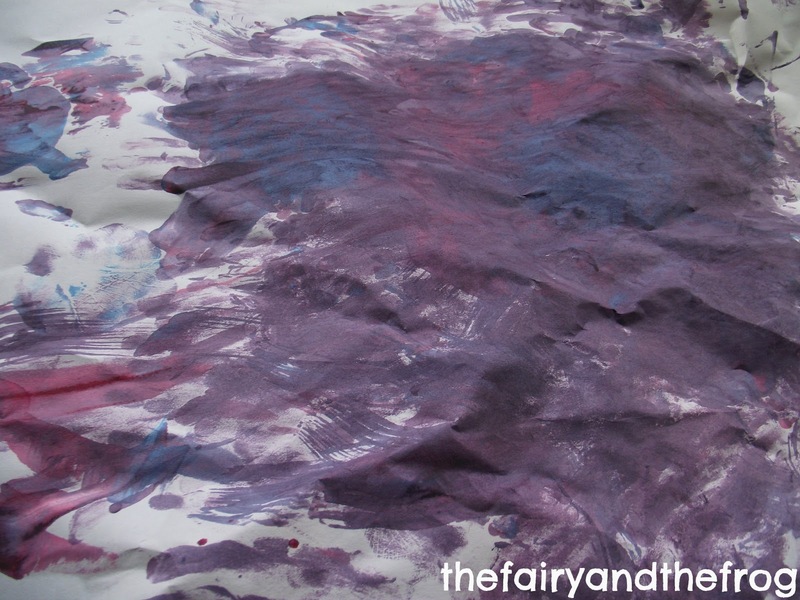 This really fun way of painting without brushes is a preschool classic. It's another great activity for getting both kids involved in doing the same thing at once. 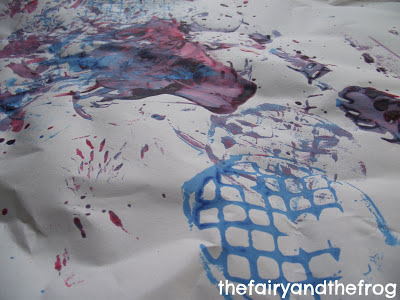 I selected a range of safe utensils, added paint and a big roll of paper- then let the kids loose. Interestingly The Fairy quickly wanted to do a spot of hand painting whilst The Frog really enjoyed bashing.